The town is filled with historic buildings, unique architectures, and ideal streets that make the act of taking a walk or going for a drive fun and relaxing. When it’s time to find the right vehicle to not only get you to work and back, but to take out on fun drives, too, then there’s no better choice than a Porsche. 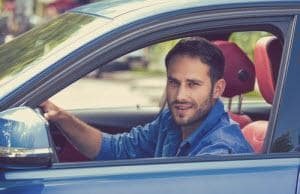 But finding a Porsche dealer near Princeton isn’t difficult because Porsche Toms River is the destination to begin or continue your luxurious driving experience. Getting started on the journey towards a sleek and stylish luxury coupe, sedan, or midsize SUV is a lot easier when there’s a Porsche dealer near Princeton that can help you determine the right options for you. Taking a walk around our showroom will give you a better sense of the different Porsche models that are in our inventory. Whether you’re looking to get behind the wheel of a sporty Boxster, an alluring 911, or a sleek and spacious Cayenne, you’ll be able to get a better sense of these models and more by taking a tour of our inventory in-person or online. When you’re trying to determine which luxury Porsche model is the one you want, doing research and be a valuable resource. Our Porsche dealership serving Princeton drivers is happy to provide free research materials that you can use to learn more so you can make the informed decision. Our Porsche Vehicle Review Library is your best resource to get started on finding out which Porsche model is right for you. These reviews will show you what each model offers with its performance, style, comfort, features, and even safety. While researching Porsche models is a great way to get closer to the one you want, there’s nothing better than experiencing the model so you can truly decide. When you’re ready to make the trip to our Porsche dealership from Princeton, you should be excited to get to experience what could potentially be your next car. When you’re behind the wheel, sitting comfortably, and putting your foot on the pedal, you’ll certainly get a feel for the car and its smooth, yet powerful performance. By the time you return to our dealership, you’ll be able to decide if it’s the right choice for you. 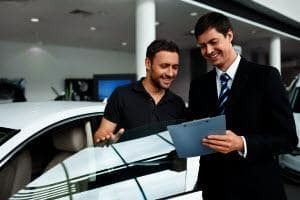 When you’re the proud owner of a stylish luxury vehicle like a Porsche, you’ll want to do anything within your power to keep it looking great and performing perfectly. Luckily, we’ve got certified expert technicians on site to help you maintain your Porsche so you can keep it lasting though the years. Whether your vehicle is in need of some routine services, or some involved and complex repairs, you’ll be happy to know that your vehicle is in the best, most capable hands around. 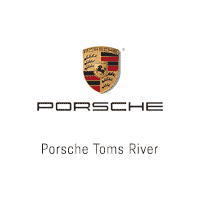 At Porsche Toms River, Princeton drivers are in for a luxurious experience when they’re looking for the right Porsche.